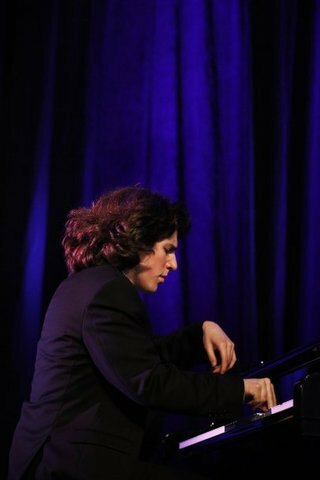 “Poetic, electrifying,” “mesmerizing artistry and extraordinary ability to communicate,” “masterful technique,” “exquisite lyricism,” “a gifted virtuoso,” have lauded 21-year-old Llewellyn Sanchez-Werner for performances that have stirred the intellect and humanity of his audiences on five continents. His unique and multi-faceted artistry has been featured on NPR, CNN International, the Wall Street Journal, and WDR-Arte. 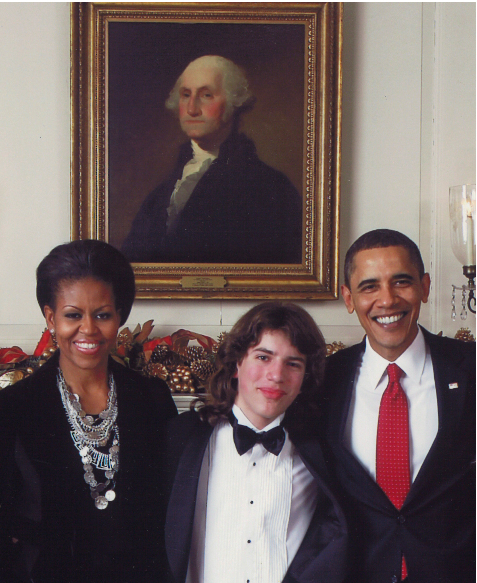 Named a Gilmore Young Artist, an honor awarded every two years highlighting the most promising American pianists of the new generation, it held deep meaning for him to perform at the White House and Kennedy Center for President Obama’s second Inauguration concert. Mr. Sanchez-Werner’s performances for global audiences have included CultureSummit Abu Dhabi 2018, the Louvre and Grenoble Museums in France, Smetana Hall in Prague, Czech Republic, Verbier Festival in Switzerland, Ashford Castle in Ireland, Gijon International Piano Festival in Spain, and Musée des Beaux-Arts de Montreal and Banff Arts Festival in Canada. In the United States, he has frequently concertized at the Metropolitan Museum of Art, Lincoln Center, and National Sawdust in New York, Mary B. Galvin Hall in Chicago, Richardson Auditorium at Princeton University, Paramount Theater in Oakland, and the Kennedy Center, the Smithsonian Art Museum, and Warner Theatre in Washington, D.C.
General Petraeus commended Mr. Sanchez-Werner’s “courageous humanitarian contributions through the arts...strengthening the ties that unite our nations.” He received the Atlantic Council Young Global Citizen Award recognizing his dedication to social action through music in such countries as Iraq, Rwanda, France, Canada, and the United States. 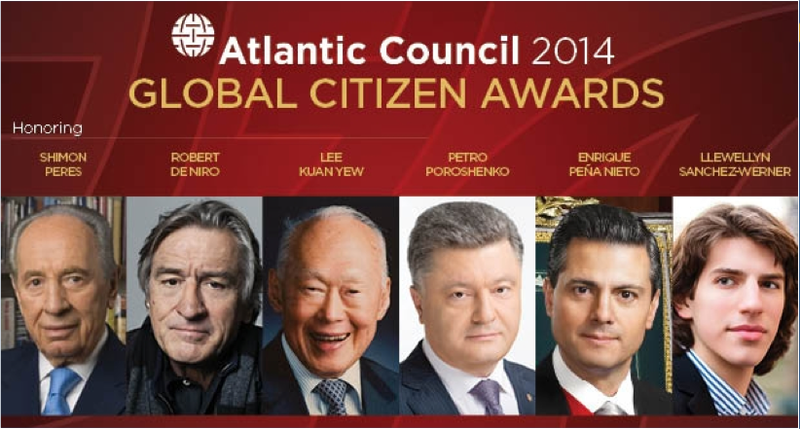 Fellow honorees included Robert De Niro, Presidents Enrique Peña Nieto and Petro Poroshenko, and Prime Ministers Shimon Peres and Lee Kuan Yew. On UN World Day for Cultural Diversity he played with the Iraqi National Symphony in Baghdad, raising funds for the Children’s Cancer Hospital, and in Rwanda, he performed for economic leaders and President Kagame as Rwandans continue rebuilding from the Tutsi genocide. He augmented awareness when he was featured on CNN International. In Paris, he performed at the U.S. Embassy for a special event honoring the visit of the U.S. State Department’s Special Envoy to Muslim Communities, Shaarik Zafar, which was attended by an American delegation and local representatives from various religious groups and civil society advocates. Renée Fleming, Eric Owens, Marina Poplavskaya, and Cynthia Phelps are among the leading artists Mr. Sanchez-Werner has collaborated with as an active chamber musician. He was Artist-in-Residence at the Canandaigua LakeMusic Festival, Discovery Artist of the New West Symphony, and served as music director for a production of Aida at City College Arts Academy in New York. He partnered with the Gershwin family on a concert and biographical tribute to the Gershwin brothers, and performed “Hallelujah Junction” for John Adams at his 70th birthday celebration in New York. For a Hilan Warshaw WDR-Arte documentary titled “Wagner’s Jews,” which explores the controversy of performing Wagner in Israel and has been aired around the world, Mr. Sanchez-Werner recorded works of Liszt, Wagner, and Tausig. Since making his concerto debut at age 6, he performs regularly under the batons of such conductors as Mirga Gražinytė-Tyla, Michael Morgan, Boris Brott, Tito Muñoz, David Lockington, William Noll, Burns Taft, Robert Lawson, and Karim Wasfi. His long relationship with Michael Morgan, with whom he has soloed with 3 orchestras, expanded beyond performing titans of the concerto repertoire when they took on the rarely performed Carlos Chávez piano concerto in a performance that received the Ross McKee Foundation Grant. Mr. Sanchez-Werner's adventurous programming also took him to perform Glass’ Second Piano Concerto, “After Lewis and Clark,” in 2016 under the baton of Tito Muñoz. Mr. Sanchez-Werner performed Beethoven, Mozart, and Haydn concerti in partnership with the National Academy Orchestra of Canada and the New West Symphony in 16 concerts for 20,000 North American students to excite more youth about classical music. He continued his work with conductor Boris Brott with performances for an additional 6,000 students as part of an anti-bullying campaign. A California native, Mr. Sanchez-Werner began his first college degree at 5, and at 6 began performing regularly with orchestras. At Juilliard, he was the youngest admittee to the Bachelor’s Degree at 14 and the Master’s Degree at 18, where he was the recipient of the Kovner Fellowship. While at Juilliard, as the winner of the concerto competition he performed under the baton of Mirga Gražinytė-Tyla. He was also awarded a National Foundation for Advancement in the Arts’ YoungArts gold medal in music. Principal teachers have included Yoheved Kaplinsky, Ilya Itin, Burns Taft, composition with Lowell Liebermann, and improvisation with Noam Sivan. He has extensively studied chamber music with artists including Wu Han, Joseph Kalichstein, Robert McDonald, Robert Levin, and the Brentano, Borromeo, and Shanghai Quartets. Mr. Sanchez-Werner studies with Boris Berman at the Yale School of Music as the only candidate selected his year to their prestigious Artist Diploma program.